This entry was posted in Horticulture and tagged burning bush, Eastern White Pine, Euonymus alata, gardenling, landscape, New Hampshire, photography, Pinus strobus by Annie. Bookmark the permalink. I love burning bush and white pine both. Thoreau’s woods are full of white pine, they were alive with the chatter of chickadees when I visited in the fall. How could any sound be more wonderful? A good friend dislikes all pines because they depress her. Why?, I ask. They make me happy because they retain their green foliage all winter while deciduous trees are bare. Although I’m all for habitat biodiversity, I agree with you. It’s nice to see some green in the dead of winter. One reason I bought my home is that it has a couple of pine trees out front. It reminds me of my Virginian home “Pine Knoll”. Ah-ha! That could be why I love them. Our summer home was a cottage in a pine forest! I have five tall loblolly pines in my front yard. I love sitting on a bench enjoying a manhattan on spring nights and listening to the flying squirrels squeaking and dropping seeds and watching them fly from tree to tree. Also I was at my brother’s last night for a cook out party. Strong winds came up and made the most wonderful sounds in his many mature pines, which everyone enjoyed. A neighbor has a nest of majestic hawks in his tall pine. Plus, we scatter our woodland paths with pine straw. Love a pine tree! 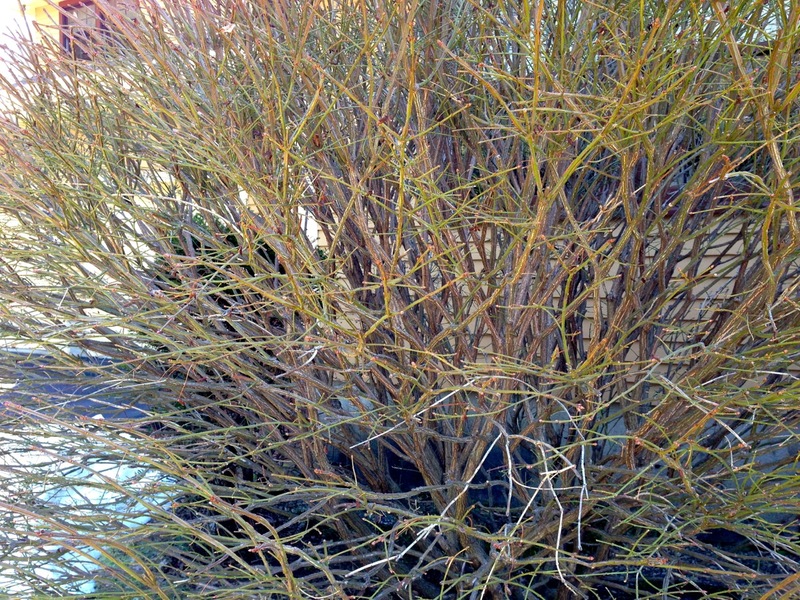 The burning bush…..I like them…in shopping centers and gas stations. They really are pretty seasonally. That’s an enthusiastic testament to the loblolly pine! Don’t forget the pine scent! Ahh, nothing better when walking in the woods!! 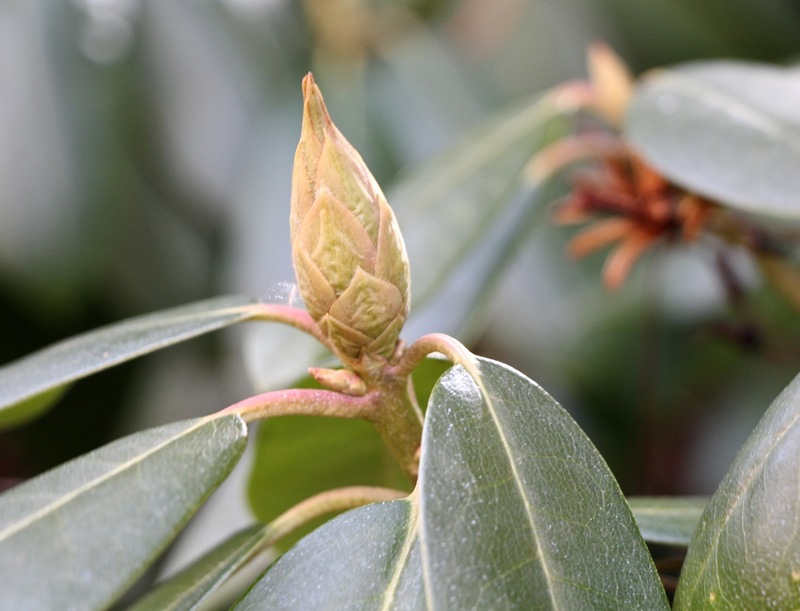 Looks like you are going to have a beautiful rhododendron this spring! We have several rhododendron shrubs. I can hardly wait until the yard is filled with rhody blooms! 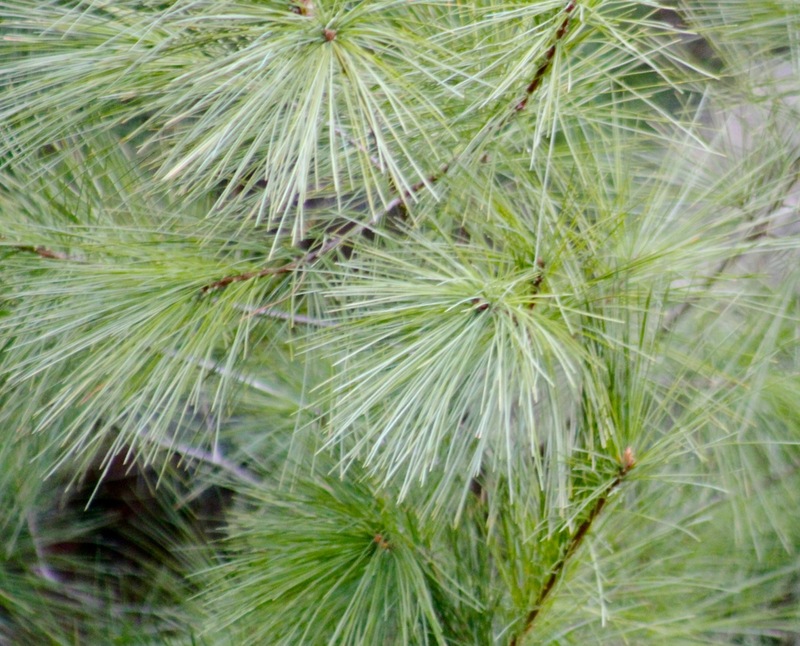 I know white pines are bad news here in Tidewater, but I love going up to the mountains and sitting under one on a bed of its soft needles, just to inhale their clean scent.